When I was assigned writing an essay about Seamus Heaney, I approached it like pretty much any other project—through research. He sounded familiar to me and I was curious to find out why that was. Well, turns out, this man was more than just an accomplished poet; he was an accomplished person. Among many other astounding honors, Heaney won the Nobel Prize for Literature, was a poet in residence and professor at Harvard, taught at Oxford, was named a Commandeur de l’Ordre des Arts et Lettres, something only up to twenty people are awarded each year. He is held in such high esteem, being referred to as the Yeats of his generation. These findings only confirmed to me that my assignment was important. Shamefully, I still didn’t really know who this man was. I took a look at his most notable work, and there it was. Heaney had done a translation of Beowulf. Though I was not fond of the work, which probably had more to do with the heinous teacher that was instructing it than it did the text, I did love looking at the translation. Curious, as is my nature, I read more and more and more of his work. One piece led to the next and soon I was reading more of Seamus Heaney than I was of the work at my full-time job. Ignoring phone calls and visits from clients, it probably wasn’t the best for the business, but it was best for my soul. I wouldn’t classify myself as a poetry person, but I can now say I’m a Seamus Heaney person. 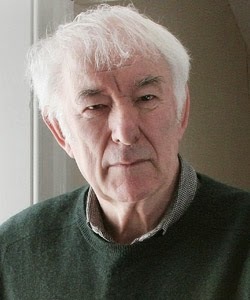 Growing up one of nine children in County Derry in Northern Ireland, Heaney drew much of his inspiration from his surroundings. One of his most well-known pieces, “Digging,” which explores the themes of heritage and family roots, displays the relationship between father and son and grandfather and grandson. The narrator ultimately comes to realize that though he is not ‘digging’ the traditional way his father and grandfather did, he still must make a living even if his choice of tool, a pen, is not the same as his elder’s, a spade. Heaney was a trailblazer. 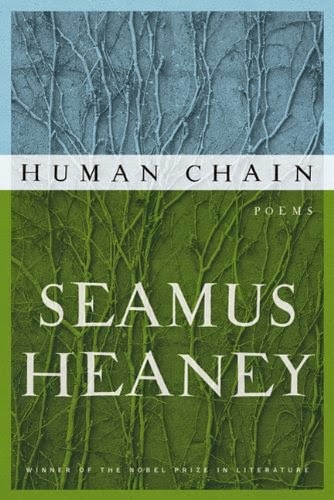 A poet and playwright, Heaney has written many inspiring pieces, most notably his poetry collections Death of a Naturalist, Field Work, The Spirit Level, District and Circle, and Human Chain. A poet held in high regard with academics, Heaney is also well-received by the common reader. 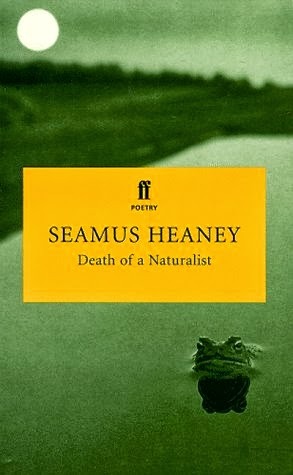 A good portion of his subject matter, delve into themes of past and present Irish living, but also bring to light universal themes: “The Blackbird of Glanmore” and “Mid-Term Break” are about Heaney’s younger brother dying; “The Skunk,” is a tribute to his wife, Marie; “Death of a Naturalist” introduces themes of childhood and naivety. In other words, Heaney was relatable. Even I, ignorant when it comes to poetry and exposed only briefly, enjoyed Heaney and his work. Others have expressed their love and admiration for Seamus Heaney. Poet and teacher, Elizabeth Kate Switaj said, “I respect his disciplined lines and rhythms.” Never did I feel that a was word forced or placed simply for the sole purpose of rhyming.